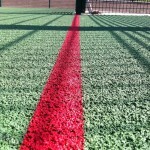 As specialists in polymeric surface construction, we are able to complete the full installation works for these sports facilities. 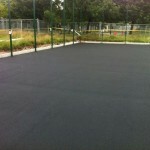 The EPDM rubber specification is very popular for multi use games areas as it can be used to play tennis, basketball, netball and a number of other activities. We have build many of these facilities at schools and clubs across the UK, as well as carrying out refurbishments and maintenance to existing courts. Feel free to contact our team today for more information on everything we offer. 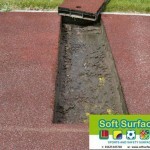 Whether you need a completely new sports surface built or you’re looking to renovate an existing one, we can help. Just fill in our contact form to speak to an expert and get an idea of the costs. The first stage for polymeric surface construction is using the design and specifications to lay out the dimensions and area required for the foundations. 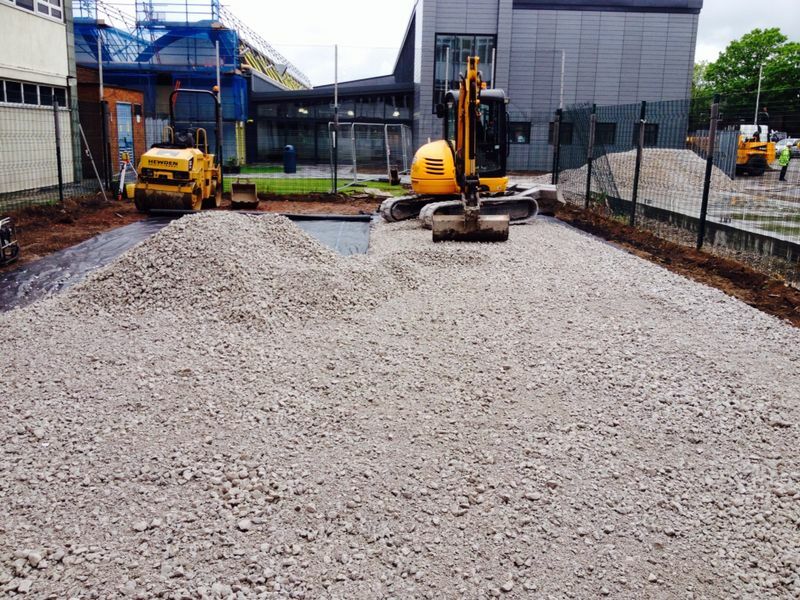 The groundworks require setting out a geotextile membrane across the ground to ensure that no weeds or contaminations grow up through the foundations, as this could be detrimental to the polymeric surface construction process and product life. 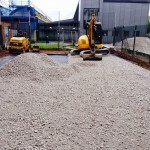 The next stage of the polymeric surface construction process is to lay down a suitable sub base; this is made from reduced fines stone that allows water to pass through it, but maintains the structure of the sports facility. 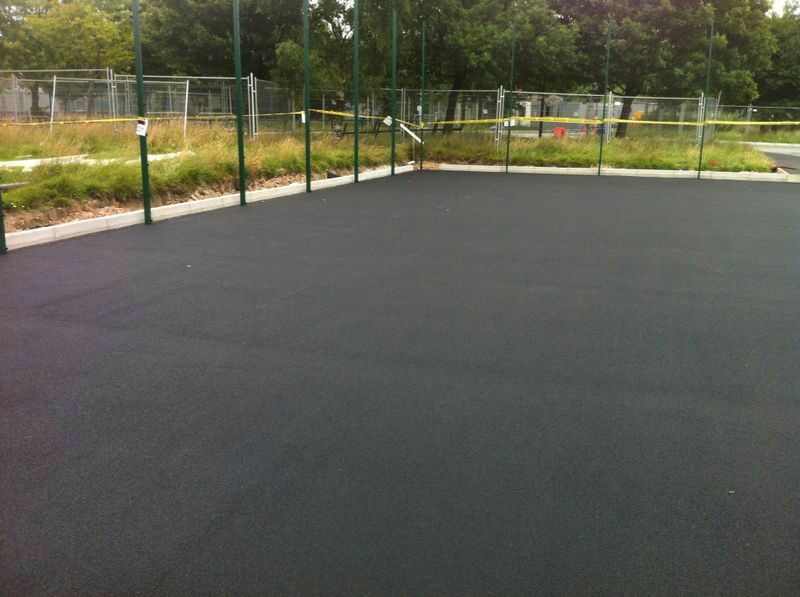 Once the sub base is installed, a macadam base is applied and the rubber surfacing is the installed onto the macadam. Due to the porous properties the sports pitch has, it’s an all-weather facility allowing for use all year round, this is perfect for schools that have term throughout the winter months, and also leisure centres who can then rent out the pitch all year round. The client is given a lot of freedom to choose the design and features of their polymeric facility, that’s why we offer a variety of extras which you can add to your sports pitch such as fencing at a selection of heights or floodlighting. 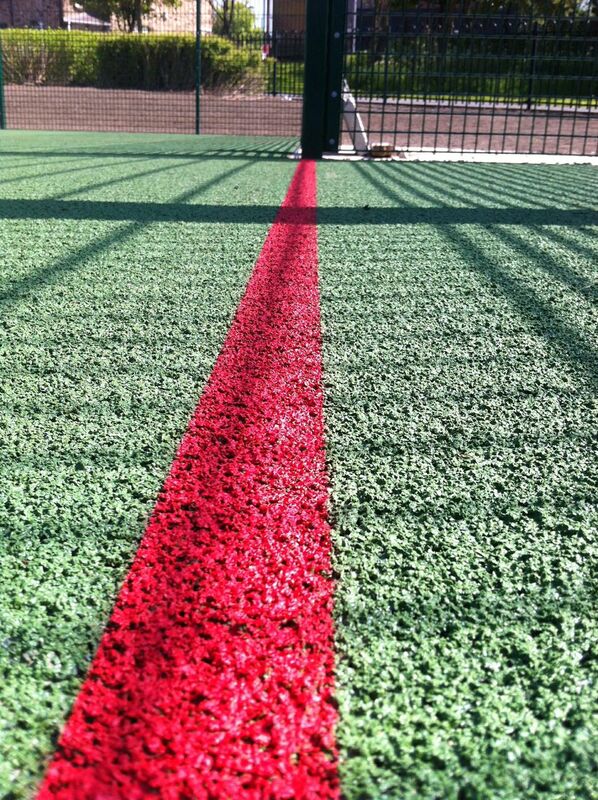 You can also have anti-slip line marking painted onto your surface, this increases the grip for the players improving both safety and performance characteristics. 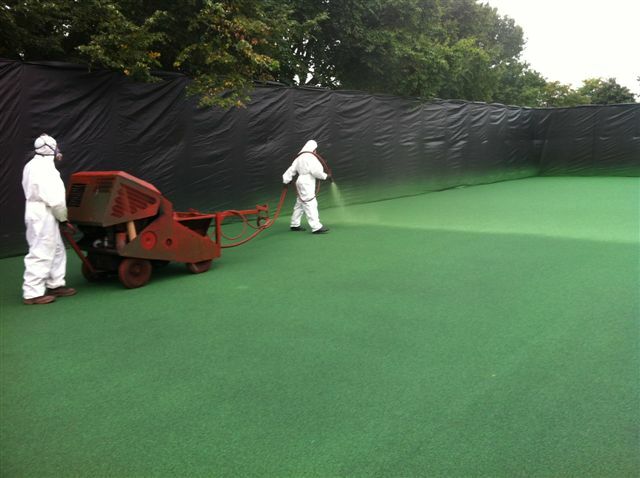 Costs to install polymeric surfaces will vary from job to job depending on a few factors, the most important factor being the size and dimension of the sports facility you desire as this affects the amount of labour and materials required for the job. 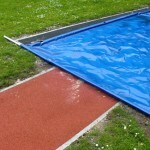 Another indication of the costs to install EPDM surfaces is the extras you have with the sports facility such as the floodlighting and fencing, and with this you can change the specification of the product, allowing for smaller fencing that well help customers remain within their budget. A proactive way of keeping costs down in the long run is to properly maintain the area to reduce the chances of any long term damage that could cause repairs and resurfacing jobs to be required. This will ultimately save you money as a thorough maintenance plan ensures the performance characteristics, safety and product life of the sports facility. We recommend taking into account maintenance costs at the start of the project to ensure you get the most from your sports facility. We aim to offer great quality products and services whilst also keeping the costs of polymeric surface construction down for the client allowing them to stick within their budget if they need to. 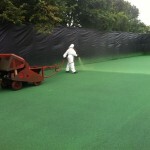 Our experienced staff can offer your advice on installing a new rubber sports court surface as well as details on prices for construction or maintenance of these facilities, please use our contact form to talk to us regarding polymeric sports surfaces. 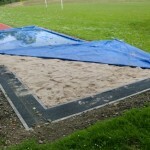 We’ll do our best to give you a quote which is affordable for you and your school or club. Just let us know if you have any budget requirements or you’re looking for any design in particular.